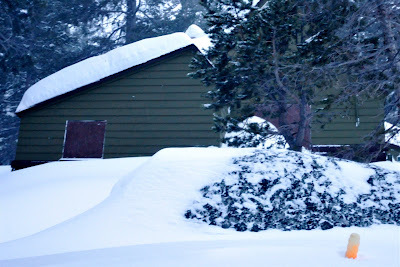 January 20th Echo Lake Weather Report from Bernard Rocca on Vimeo. Unfortunately, the wind kept howling and the avalanche report was not kind. This gave me a chance to move on from Bananas to California: A History, which is actually amazing. California is a most incredible state and it's great to learn how it came to be as much. Unfortunately, it's also a reminder of how devastating the European arrival was for the native peoples, animals, and environments. Bummer. You found my time capsule!! Please don't open it. I've got some Tonight Show with Conan O'Brien memorabilia I'm excited to look back on in 50 years. - JonnyB. That is crazy. I tried looking for pictures of avlanche bombs/charges for a while, but couldn't find much. Oh the irony or being blown up by a avalanche bomb right outside your base-camp!